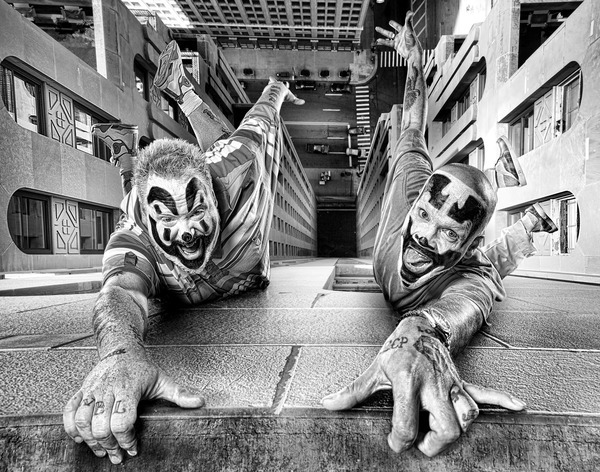 Missouri may not have wanted anything to do with the 15th annual Gathering Of The Juggalos, but the state recently selected as the most miserable in the entire United States is welcoming ICP and their thousands of fans with open arms. Thornville, Ohio will play host to the 15th annual Gathering Of The Juggalos July 24-27, 2014. The multi-day festival will feature performances from a variety of Psychopathic Records’ artists, as well as numerous mainstream talent that has yet to be announced. There will also be wrestling events, comedians, dance parties, and more insanity than most will probably be able to handle without having their heads explode. A clip from 2013’s festivities can be viewed below. Tickets for the 2014 Gathering Of The Juggalos are on sale and going fast. If you’re interested in attending this one-of-a-kind event, click here for additional details. We all know what staff member will be there… Jacob.